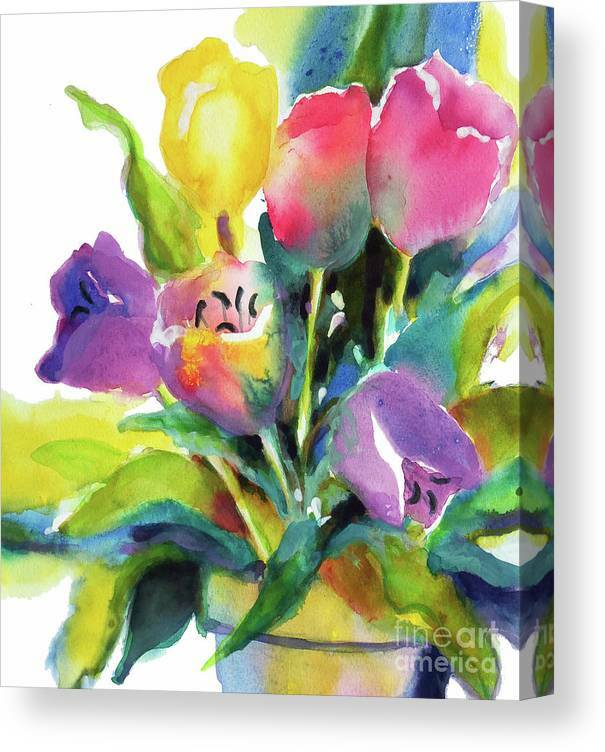 Tulip Pot by Kathy Braud - 6.875" x 8.000"
Tulip Pot canvas print by Kathy Braud. Bring your artwork to life with the texture and depth of a stretched canvas print. Your image gets printed onto one of our premium canvases and then stretched on a wooden frame of 1.5" x 1.5" stretcher bars (gallery wrap) or 5/8" x 5/8" stretcher bars (museum wrap). Your canvas print will be delivered to you "ready to hang" with pre-attached hanging wire, mounting hooks, and nails. 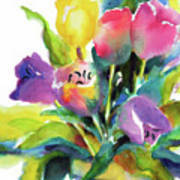 Congratulations Kathy on your Feature... eautiful watercolour! I can see why your work has been so successful. Great artistry, congratulations, Kathy. Eine sehr schöne Arbeit. Wunderbare Farben! Thank you, Ann! I appreciate! 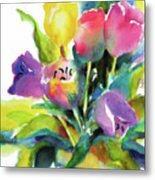 Kathy this is such a beautiful and uplifting watercolor; I love your description and can feel the wonderful energies in this beauty!!! Thank you, Joyce, for the lovely description comment! Much appreciate! Thank you, Johanna! I appreciate the feature! Thanks, Johanna. My client chose greeting cards and they are just beautiful! Thank you! I appreciate your visit! Thank you, Kay so glad you noticed! Kay, so nice of you to take the time to congratulate me on this feature. Thank you! Liesl, so nice of you to take the time to congratulate me. Thank you!